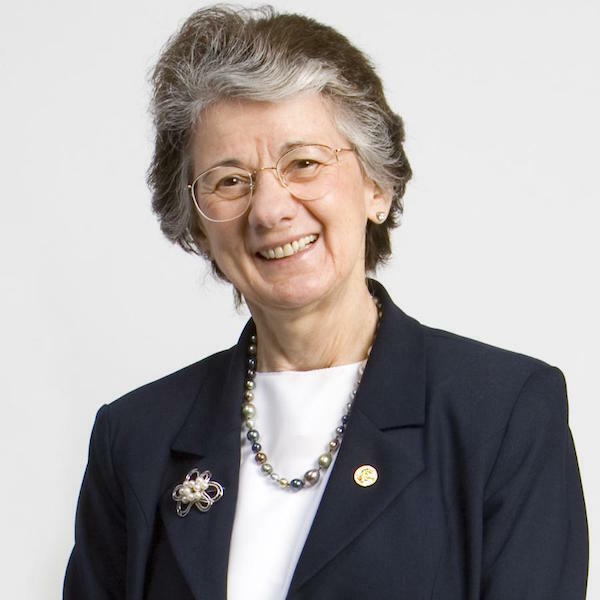 An internationally-respected microbiologist, science administrator and educator, Rita Colwell in her research focuses on global infectious diseases, water, and health. She is now developing an international network to address emerging infectious diseases and water issues, including safe drinking water for both the developed and developing world. Her early research shed important light on the infectious disease, cholera. Rita currently serves as a Distinguished University Professor at both the University of Maryland at College Park and at Johns Hopkins University Bloomberg School of Public Health. She is also former senior advisor and chairman at Canon US Life Sciences, Inc., and Founder and current Chairman and Global Science Officer of CosmosID, Inc.
She has a keen interest in K-12 science and mathematics education, graduate science and engineering education, and the increased participation of women and minorities in science and engineering. As director of the National Science Foundation from 1998–2004 (the first female to hold this position), she made notable inroads in STEM, including doubling the funding of a key NSF initiative called ADVANCE which supports the advancement of women in academic science and engineering careers. Rita has also held many advisory positions in the U.S. government, nonprofit science policy organizations, and private foundations, as well as in the international scientific research community. In addition, she has authored or co-authored 17 books and more than 800 scientific publications, and is the recipient of numerous honors for her work, including the 2006 National Medal of Science (given by President George W. Bush), and being named the 2010 Stockholm Water Prize Laureate and Vannevar Bush Award by the National Science Board. Rita earned her Ph.D. in oceanography from the University of Washington and also holds degrees in genetics and bacteriology.